PLAY Slots — Vday Rose for FREE! We offer the BEST Vegas style Casino Games ALL IN ONE APP! DOWNLOAD NOW and get FREE COINS DAILY! Bring the FULL Casino experience wherever you go! 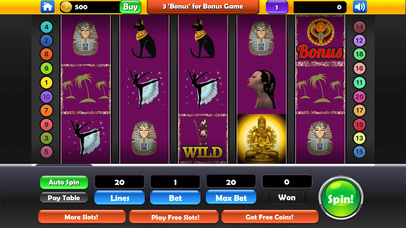 Test your luck in the best Casino games on your iPhone, iPad and iPod devices anytime, anywhere! If you aim for more challenge, compete with top gamblers in our Game center WORLDWIDE Leaderboard! Be part of the thrill and excitement with Slots — Vday Rose. Get LUCKY, WIN BIG and have FUN!